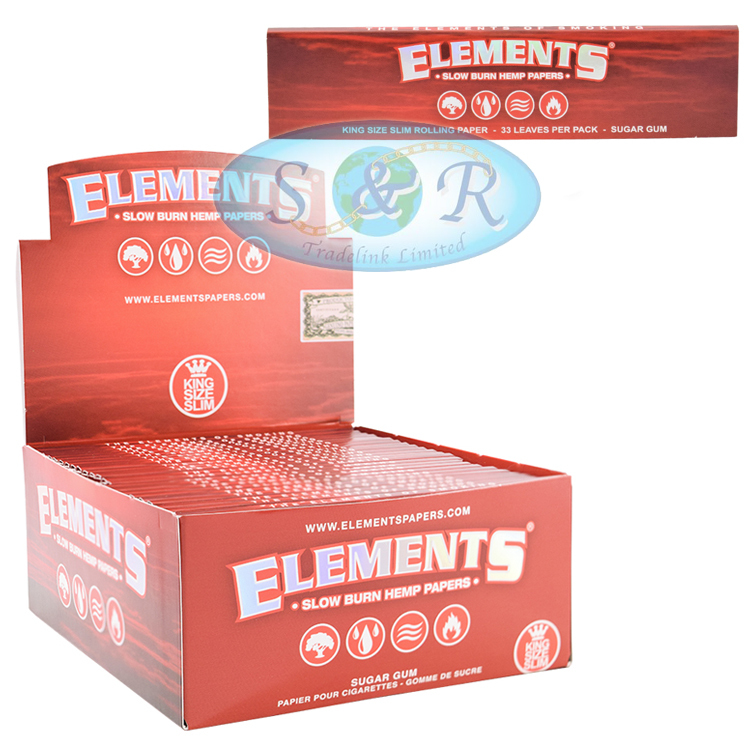 Elements Red are made of slow burning hemp. Each sheet has about 30% more stored energy than our Elements rice papers, so Elements Red outperform with moister and denser smoking materials. Whereas RAW Black is the thinnest, Elements Red goes the opposite direction; offering a thicker paper with the ability to burn your denser, moister materials without going out. It’s all a matter of matching the perfect paper to the perfect material, and super thin is not always better. True smoking aficionados understand that special materials need to be wed to special papers. Rolling paper is not a one-type-fits all type of product.